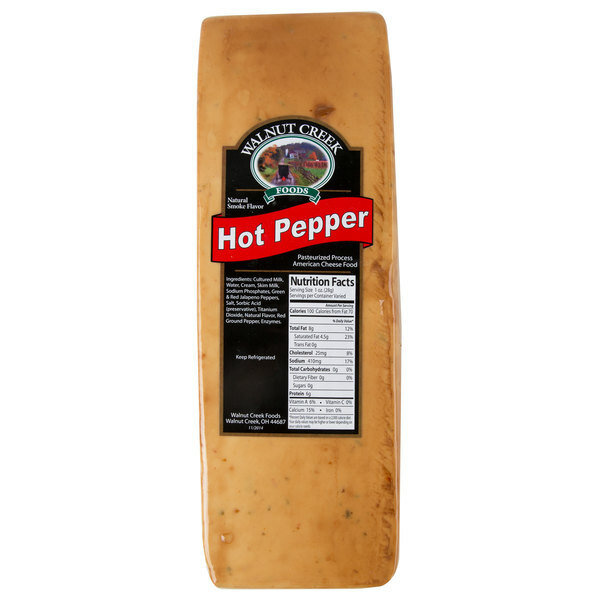 This Walnut Creek Foods smoked hot pepper cheese is the perfect addition to create a well-rounded menu. Featuring a spicy, hot kick of green and red jalapeno peppers mixed in with a hint of smoke, this cheese adds bold flavor without being overpowering. Its semi-hard consistency can be cut into cubes, chunks, or sliced for sandwiches too. With its delicious taste this pepper cheese is a great way to spice up your grilled cheese sandwich when piled on between two buttered slices of perfectly grilled bread. Or try grating it fresh on top of your western omelette at the end of cooking to add a kick and accentuate the crisp onions, bell peppers, and other fresh vegetables. 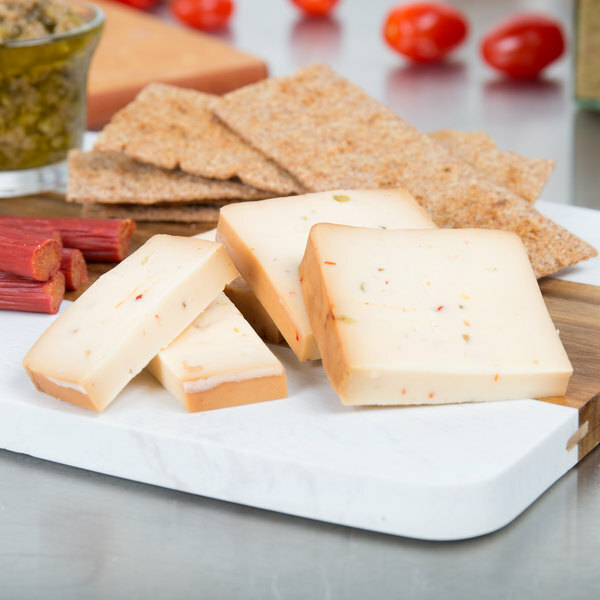 This smoked hot pepper cheese comes in a long block to make sure that you never run low on this popular cheese. Regardless of whether you're filling out a charcuterie board and serving it with a bottle of cabernet or topping an award winning sandwich, this cheese is sure to be a crowd pleaser. Committed not only to delivering great, quality products, Walnut Creek Foods also demonstrates respect, stewardship, and growth in their day-to-day business. Started as just a one man operation back in 1977, the company has quickly grown in small-town northeastern Ohio with a dedication to providing the best products possible at a fair price. Now offering a wide variety of products to suit the needs of their customers, Walnut Creek Foods goes the extra mile to ensure customer satisfaction from start to finish. If you are looking for a quality product from an honest, driven company, bring Walnut Creek Foods to your business.